From the acclaimed and award-winning author of Anywhere But Here and My Hollywood, a powerful new novel about a boy’s quest to uncover the mysteries of his unraveling family. What he discovers turns out to be what he least wants to know: the inner workings of his parents’ lives. And even then he can’t stop searching. Miles Adler-Hart starts eavesdropping to find out what his mother is planning for his life. When he learns instead that his parents are separating, his investigation deepens, and he enlists his best friend, Hector, to help. Both boys are in thrall to Miles’s unsuspecting mother, Irene, who is “pretty for a mathematician.” They rifle through her dresser drawers, bug her telephone lines, and strip-mine her computer, only to find that all clues lead them to her bedroom, and put them on the trail of a mysterious stranger from Washington, D.C. Their amateur detective work starts innocently but quickly takes them to the far reaches of adult privacy as they acquire knowledge that will affect the family’s well-being, prosperity, and sanity. Burdened with this powerful information, the boys struggle to deal with the existence of evil and concoct modes of revenge on their villains that are both hilarious and naïve. Eventually, haltingly, they learn to offer animal comfort to those harmed and to create an imaginative path to their own salvation. 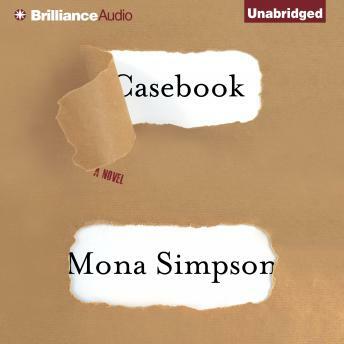 Casebook brilliantly reveals an American family both coming apart at the seams and, simultaneously, miraculously reconstituting itself to sustain its members through their ultimate trial. Mona Simpson once again demonstrates her stunning mastery, giving us a boy hero for our times whose story remains with us long after the novel's end.